We have been curious about numbers - and prime numbers - since antiquity. One notable new direction this century in the study of primes has been the influx of ideas from probability. The goal of this book is to provide insights into the prime numbers and to describe how a sequence so tautly determined can incorporate such a striking amount of randomness. There are two ways in which the book is exceptional. First, some familiar topics are covered with refreshing insight and/or from new points of view. Second, interesting recent developments and ideas are presented that shed new light on the prime numbers and their distribution among the rest of the integers. The book begins with a chapter covering some classic topics, such as quadratic residues and the Sieve of Eratosthenes. Also discussed are other sieves, primes in cryptography, twin primes, and more.Two separate chapters address the asymptotic distribution of prime numbers. In the first of these, the familiar link between $\zeta(s)$ and the distribution of primes is covered with remarkable efficiency and intuition. The later chapter presents a walk through an elementary proof of the Prime Number Theorem. To help the novice understand the 'why' of the proof, connections are made along the way with more familiar results such as Stirling's formula. A most distinctive chapter covers the stochastic properties of prime numbers. The authors present a wonderfully clever interpretation of primes in arithmetic progressions as a phenomenon in probability. They also describe Cramer's model, which provides a probabilistic intuition for formulating conjectures that have a habit of being true.In this context, they address interesting questions about equipartition modulo $1$ for sequences involving prime numbers. The final section of the chapter compares geometric visualizations of random sequences with the visualizations for similar sequences derived from the primes. The resulting pictures are striking and illuminating. 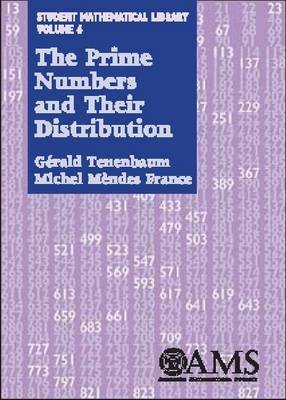 The book concludes with a chapter on the outstanding big conjectures about prime numbers. This book is suitable for anyone who has had a little number theory and some advanced calculus involving estimates. Its engaging style and invigorating point of view will make refreshing reading for advanced undergraduates through research mathematicians. This book is the English translation of the French edition.